Haven’t read the super popular Ghost in the Shell mangas yet? 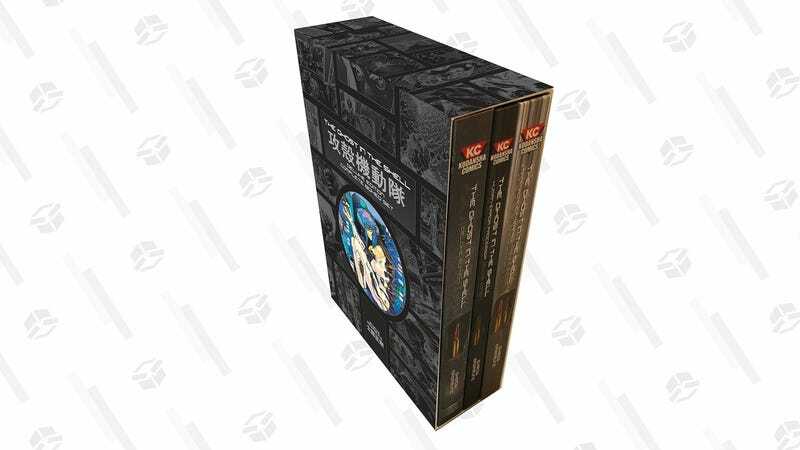 This collector’s box set includes three large-sized hardcover volumes, plus a collectible lithograph by creator Shirow Masamune for $47, which is within about $3 of an all-time low. Don’t let the live action movie ruin the series for you, this is better!